I wasn't able to sleep well last night, so I tossed and turned listening to my fiance snore. I finally fell asleep, and then the damn alarm went off for me to wake up. For some reason my best sleep is always in the morning. So I got up, got ready, and was ready to leave for my Dr appointment. Well, where the hell are my keys? Never in my life have I lost them. I had them yesterday, as I opened the door with them. I tore apart my apartment looking for them... they're gone. I think I left them in the door, and someone took them. Grrr.... makes me wonder about my neighbors. Now I have to run around the building looking for the super, so he can replace the lock. Where is he? When you need him you can never find him. It's not a good day. one thing at a time. 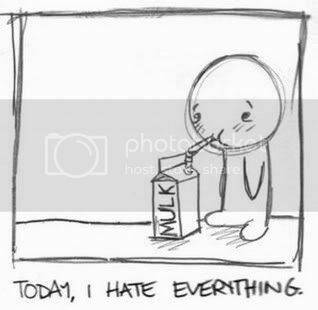 we all have days like this. I hope you are able to help settle the anxiety and get on with the tasks at hand.